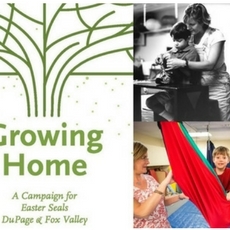 The Growing Home Campaign will enable Easter Seals DuPage & Fox Valley to purchase the therapy wing of our Villa Park building, securing our future. This will help ensure the life-changing services that thousands depend on, are available to any infant, child and family in need, for many years to come. When Brinley was only two days old, doctors discovered that her brain had not formed fully or correctly. Her parents wondered, would she walk? Would she talk? They turned to Easter Seals DuPage & Fox Valley for answers. 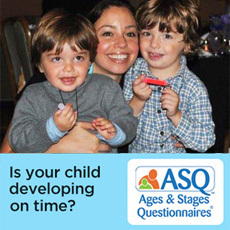 Early detection and intervention is the best way to help children with Autism Spectrum Disorders and other developmental disabilities gain greater independence. Our team works collaboratively with the family to determine a diagnosis and our Clinic offers support to families and children of all ages who are seeking answers.